April: Saturday 6 April 2019, 11.30am. 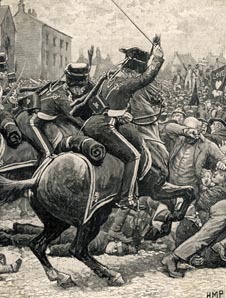 This, our regular commemoration of the awful events of the Peterloo Massacre, staying close to the site of St Peter’s Field, has been devised by Ed Glinert, political commentator with 30 years’ experience for various leading newspapers, magazines and publishers, who worked with Paul Foot on Private Eye. 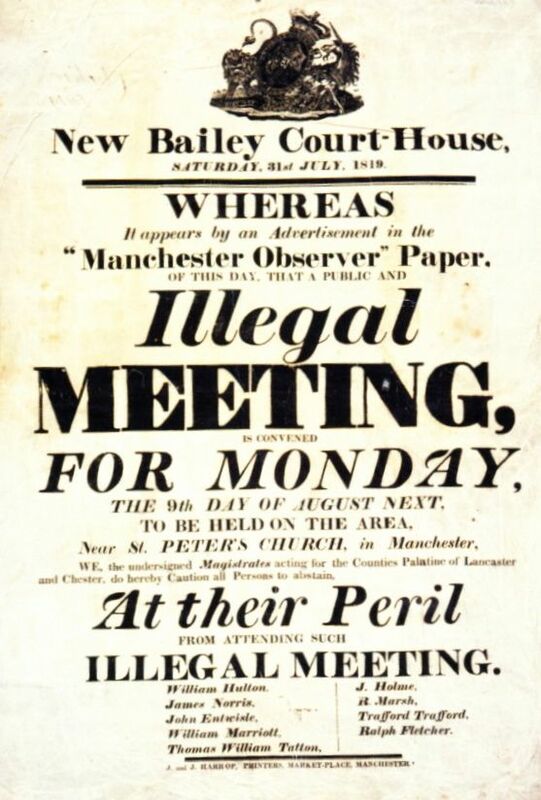 Glinert goes into extraordinary detail, explaining not just the momentous events of the day itself, 16 August 1819, but bringing in associated topics and characters such as the birth of the Manchester Guardian, the Cato Street Conspiracy, the remarkable story of the bones of the period’s leading radical, Tom Paine, the Government’s draconian Six Acts – even Anthony Burgess.